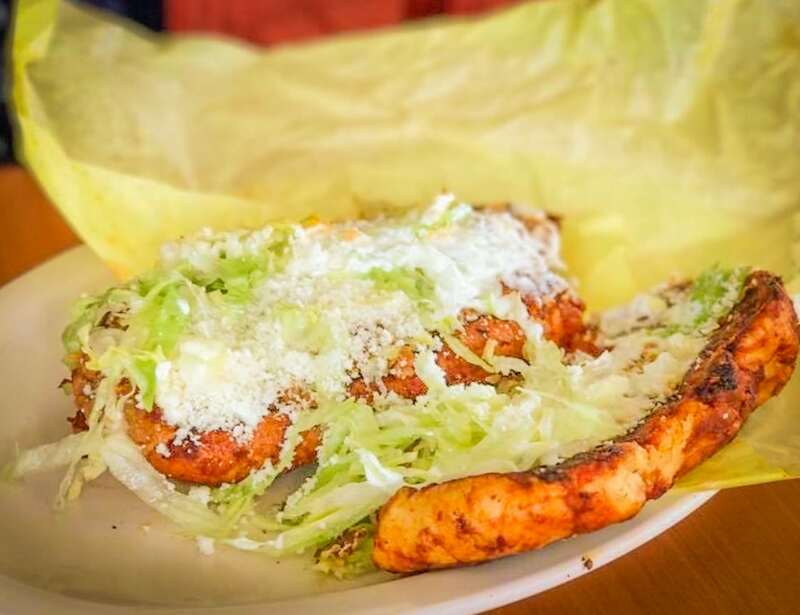 I made one mistake when first visiting Villas Comida Mexicana at the beginning of this year: I didn’t look too much at the Wrigley restaurant menu, instead assuming—probably because I was tired and wanted to get home—that it was like any other Long Beach Mexican joint. I missed a very important detail: they serve pambazos. (And, if you’re lucky, conchinita pibil). While Los Angeles has long been able to enjoy the Mexican response to a panini-meets-dipped sandwich—DTLA’s Casa La Doña immediately comes to mind though this Long Beach version is even better, to be frank—there’s never been the offering here in Long Beach that I know of. The pambazo is essentially a griddled version of a torta ahogada—and the result is spectacular: a charred, smoky sandwich—its bread dipped a spicy chile sauce—filled with melted cheese, chorizo, and potatoes, and then cooled with some cold toppings like lettuce and Mexican crema. They’re served in everywhere from Vera Cruz to Mexico City and are a staple in the rich, unrivaled food cart culture that pervades Mexico. Though not on the menu, conchinita pibil is a rarity at even the most seasoned of Mexican joints and served occasionally as a special at Villas. The Yucatan-based barbeque pork (wrapped in banana leaves) is sweet, with achiote coming out to give a subtle heat that is hard to call straight-up spicy. In other words, Long Beach: go. Villas Comida Mexicana is located at 755 W Willow St.